Congrats to Finn, Vault & Vasuri for achieving your golden toy chest badges… 10 featured boxes is still kinda a mind blowing number to me. Finn-Warrior’s longevity is amazing… from his first Tough Trials map to his second one... so cool to have been making feature worthy toy boxes for that long. And I still remember Vault of Villains' and Vasuri83's first maps… and now they are at the top of the list. And the other 2 gold badge members are getting paid to make toy boxes now… so unreal. Congrats PapaEcho. 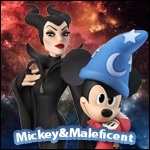 I soooooo wanted to get to 5… I honestly don’t think I will ever forgive DI for not featuring my Treasure Planet map… they like made a mortal enemy out of me for life I think. 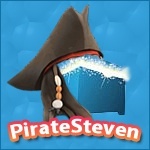 EDIT: Congrats PirateSteven! Goldmember status! Which reminds me of Austin Powers. The Dsmmat family joined shortly after the Toy Box Summit. Hmm, I thought so. Guess you persuaded them. @PirateSteven SoraTheConquerer got 3rd in the Guardians of the Galaxy challenge if you look at the video. 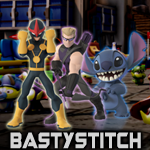 Yes, there were three forum members that placed in the GOTG challenge. It will be added today. The stats are now updated as of the Fantasia Challenge. Great work team!